Regular readers will know that the heart of my column is the local community. With this in mind this month column is centred around a family that despite their own heart breaking loss have found a way to involve the community in some worthy fundraising. 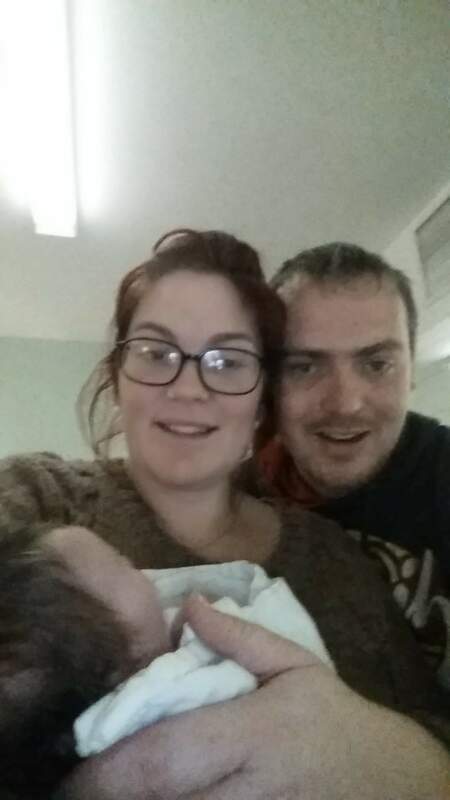 On the 28th of December 2014 Jodie and Rhys Foran welcomed their 6th child into the world. Cooper Thomas Jack Foran was born in UHW at 5.10am weighing 6lbs 9oz. 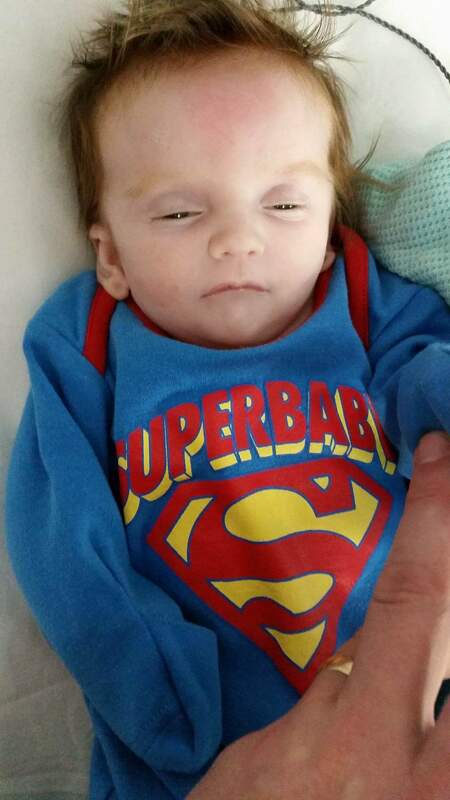 Cooper was born with a chromosome abnormality and a small hole in the heart. Due to his health problems, Cooper was given very little chance of survival. 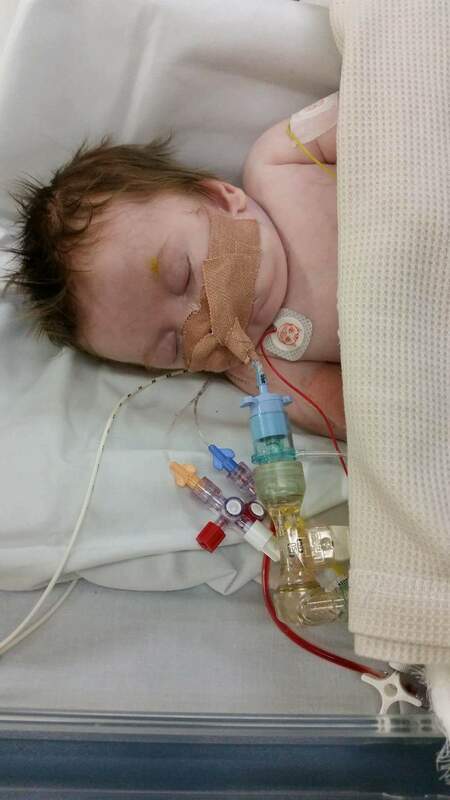 The first three weeks of Coopers life was spent in the intensive care unit at UHW. Despite the care he received, Coopers health didn’t improve, the hole in his heart wasn’t closing and the pressure in his heart and lungs also failed to improve. Eventually a decision was made to move Cooper to the Bristol Royal Hospital. The journey itself was a risk but Cooper made it and within hours of being in Bristol his health was finally improving. During his stay in Bristol Cooper received excellent care, the doctors there carried out a 4-hour operation to close the hole in his heart and to close a valve which was preventing blood pumping around his body. Two weeks later Cooper was ready to travel back to UHW. Here, Cooper faced another challenge, he started to develop fits that would last for up to a minute at a time. Doctors managed to correct his medication dosage and his fits were soon under control. Eleven weeks later and Cooper was well enough to return home to the family. He spent five happy months surrounded by his brothers Jake, Max, Evan and Lestyn as well as his sister, Tori. ‘’The other children loved Cooper – they idolised him. They would even fight amongst themselves to look after him and help with his medication. But he couldn’t cope with two viruses at one time. If he had had them separately then he may have been fine, but because of his chromosome deficiency his immune system was very weak’’ – Rhys Foran. On the 24th of August 2015, Cooper lost his brave fight and sadly passed away. The tragedy of losing a child will be hard for many of us to comprehend. However, the Foran family have found the strength to focus on giving back to the hospitals involved in Cooper’s care – the Bristol Children’s Hospital and UHW. Several fundraising events, organised by Rhys have been a great success, with more planned for the future. Coopers legacy now lives on in Cooper FC. The team is fundamentally a group of mates, playing a sport they love while raising money for Coopers charities. The idea is a simple one – both teams have to raise £150 each (generally £10 per player). All the money is given to charity. Cardiff County Council have provided pitches for free and the university have reduced costs for hire of the 3G pitches at their Llanrumney campus. Local companies are also supporting Cooper FC. 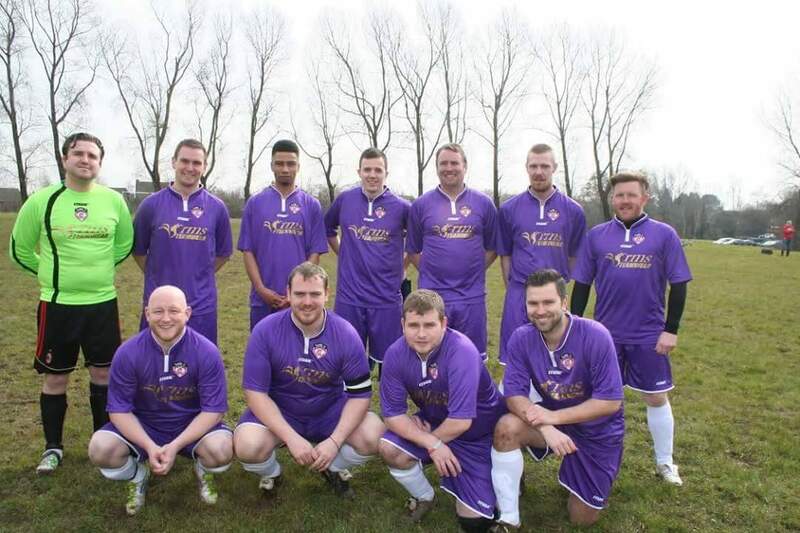 Olympia Design have donated a tremendous looking kit in purple and white. They are also making hoodies for supporters, they are available on request – rhysforan@yahoo.co.uk. Dragon Designs have provided posters which go on the side of the pitch when matches are played. The Wolfs Castle in Llanishen have been wonderfully supportive. They have allowed Cooper FC hire of the pub for fundraising events free of charge. As well as this, they have taken a local children’s team that Rhys coaches – Lisvane Panthers under their wing. They welcome the boys back for sausage and chips on match days. Community spirit at its best! Opponents have been supplied by Molson Coors. Thornhill AFC veterans (The Legends), Waterloo FC and now Peter Alan Estate Agents, will also be playing on 11th February at Ball Road, 11.30am). A local community have come together to keep Cooper’s memory alive and help other families who face similar challenges. None of this could be done without the dedication and strength of the Foran family. They have achieved so much in aid of their real life little superhero. If you would like further information on future matches, you can offer sponsorship, or would like a Cooper FC hoodie, please contact Rhys on the email address above. I’d like to thank Rhys Foran for kindly providing Coopers Story.